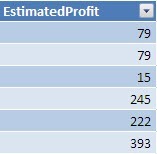 It would have been preferred to leave the calculated field option in the pivot table created off powerpivot. 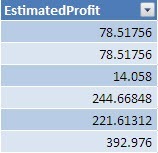 This allow for a field calculated using the aggregates of other fields. The current option is far more clumsy and less user friendly.